Is this any use to you? Yes please! One of the lovely things about sewing is that once people know you sew, then they will bear you in mind when having a clear-out! You may become the destination for all sorts of goodies, if you’re lucky! I write this post because this month, I have been fortunate enough to have several things donated to my stash! Some fabric, a boxful of mixed threads and some pins, a couple of cones of yarn and the thing I got most excited about…three reels of bias binding! Sewists are by nature hoarders, I think. Am I right?! 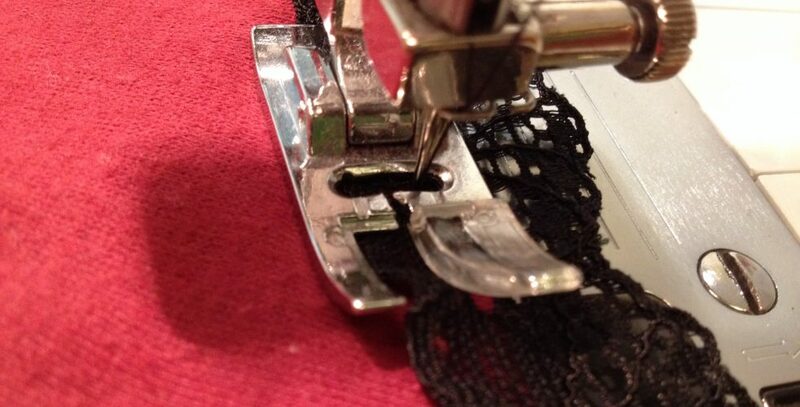 There is not a scrap of ribbon, a spool of thread or a tiny square of fabric that is useless. Seriously. I always say yes (or actually “WOW, YES, PLEASE!! !” while trying not to drool on the item in question) when anyone offers me anything remotely to do with sewing. You never know when it’ll come in useful. In fact, my Margot pyjamas (see previous post) and my Skater Dress were both made out of fabric that someone gave me last year when their aunt was having a clear out! Tools and gadgets are also most welcome, aren’t they? 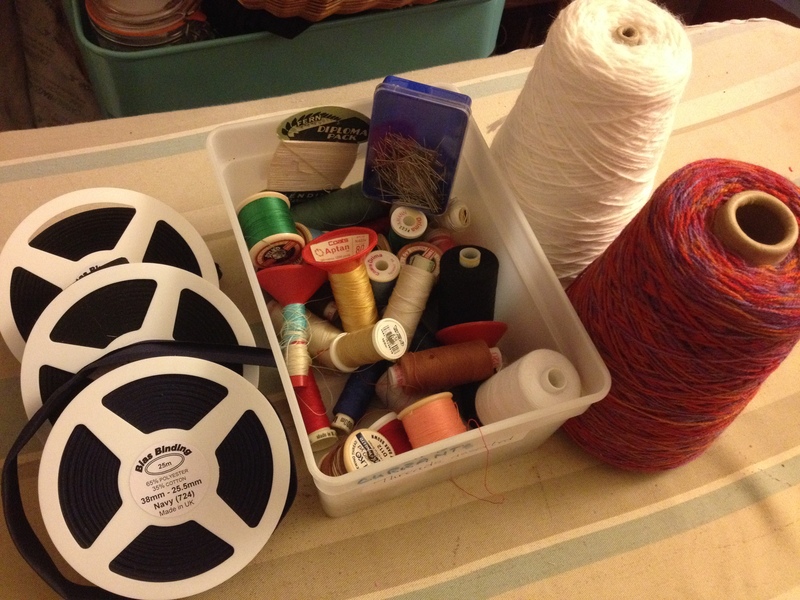 Some of my most treasured items came from my grandmother’s sewing & knitting things, which I inherited when she died. Every time I use her darning mushroom or needle roll I think of her. I also have a large tin full of knitting needles of all sizes that have come from friends, relatives and friends-of-friends that know about me! So the message to you all is to say “Yes please”, whenever anyone offers you anything. You might not use it straight away, but if you keep it squirrelled away, you never know when you might want to use it! Now, what can I do with 75 metres of bias binding?!! A tidy-up, and a couple of things knocked off the To Do list! 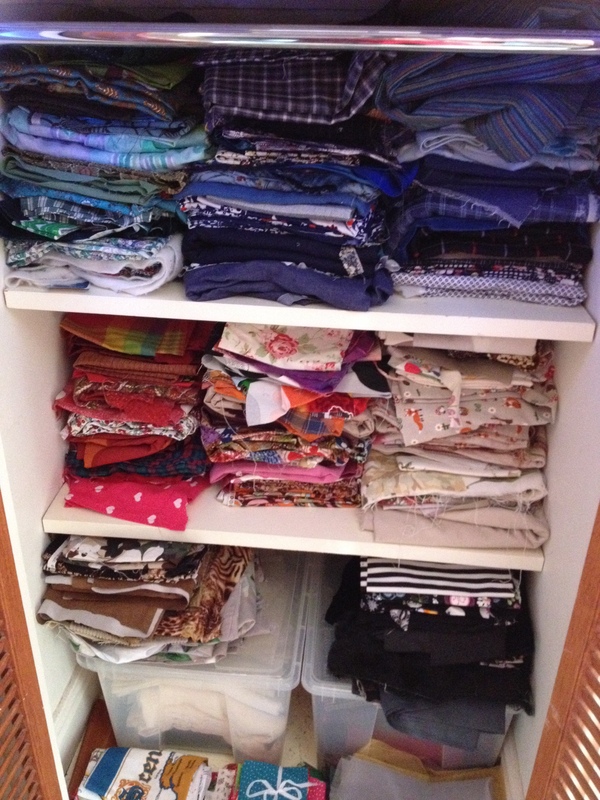 Last weekend I tidied my sewing room! Woo-hoo! It was lovely to spend some time sorting through my fabric stash especially (wow, I have too much fabric, if there is such a thing!) and rediscovering some of the lovely bits and pieces I’d forgotten about! It’s all now nice and tidy and stacked neatly in colour blocks. Wonder how long that will last?! But it gave me a good chance to spy things I’d not remembered I had, which led in turn to a couple of things on the To-Do list! My stash. I seriously need to use some of it before buying anything new! This cupboard is the height of me, by the way! I wear it so much and it’s so comfy. 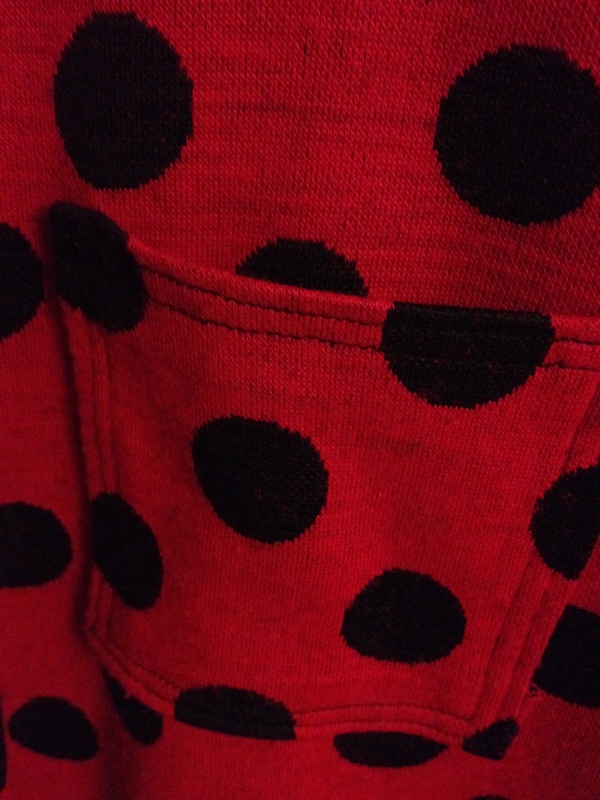 So this time I made one in a red ladybird spot. I love it and have already worn it a couple of times, so I think it’s a good addition to the wardrobe. 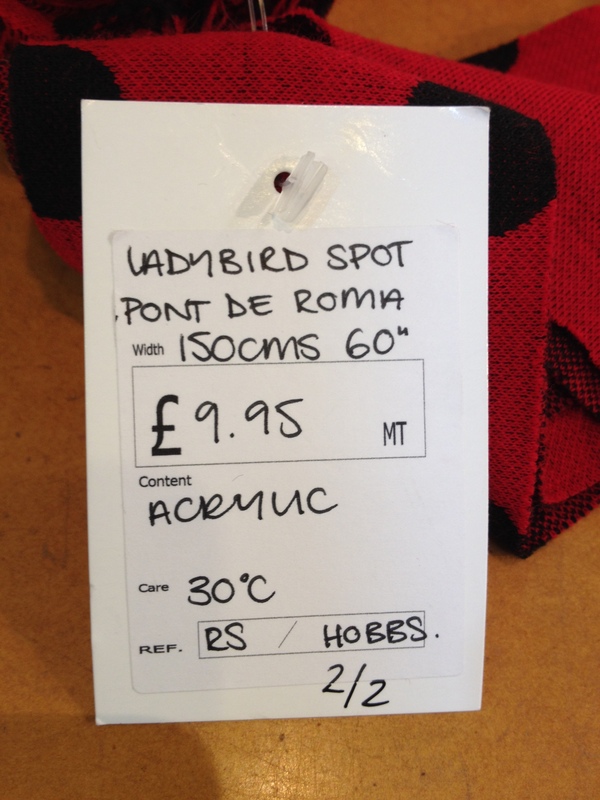 I do love Coco, and this fabric (ponte di Roma) was a dream to sew. 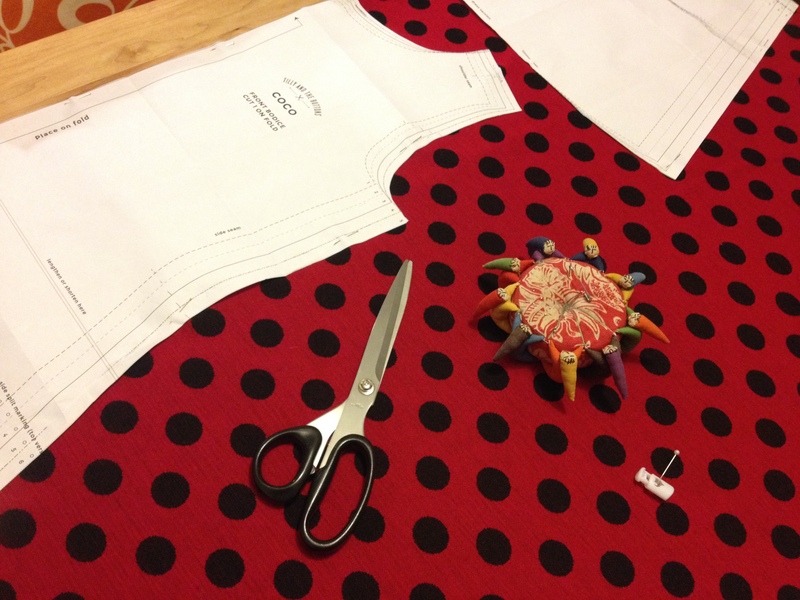 Anyone nervous about sewing with a stretch fabric would do well with this as a first try. 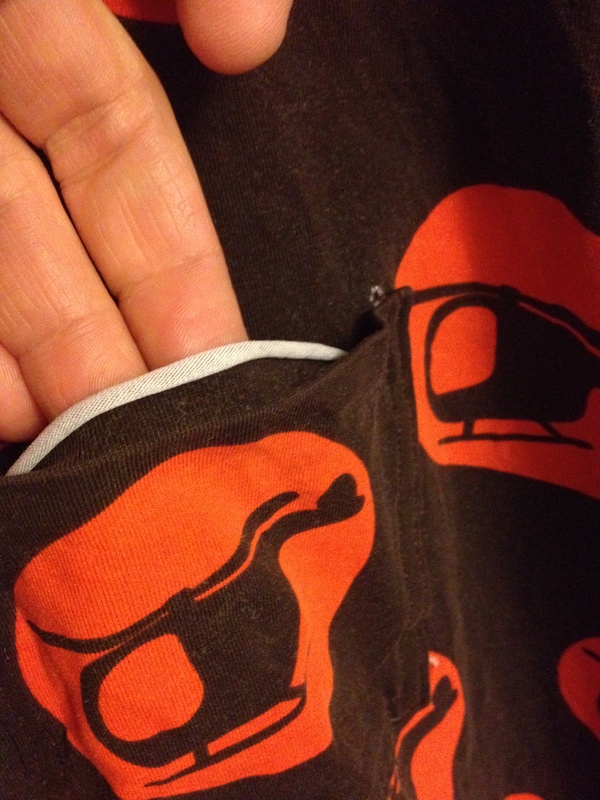 I topstitched the pockets this time because the last one I made annoys me a bit because the fabric rolls (see below). 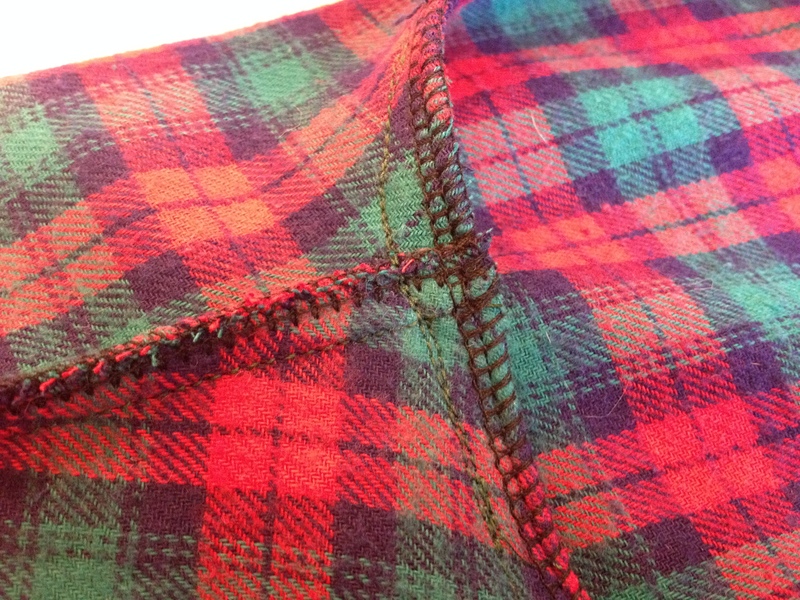 But apart from that, a lovely quick and satisfying sew! 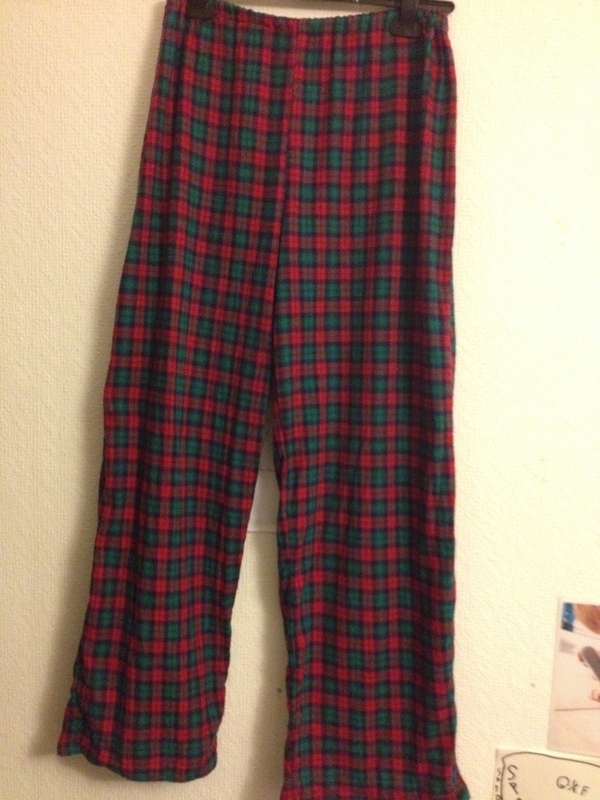 The second thing I made was a pair of Margot pyjamas from Tilly’s book Love at First Stitch. I ditched the ribbon ties in favour of elastic, which I much prefer in a pyjama! Hmmm…is it possible to have a singular of pyjamas?!! I discovered this brushed cotton plaid when I tidied! Yay! Perfect for pjs! I do love my pjs, and I don’t think I could ever have too many! 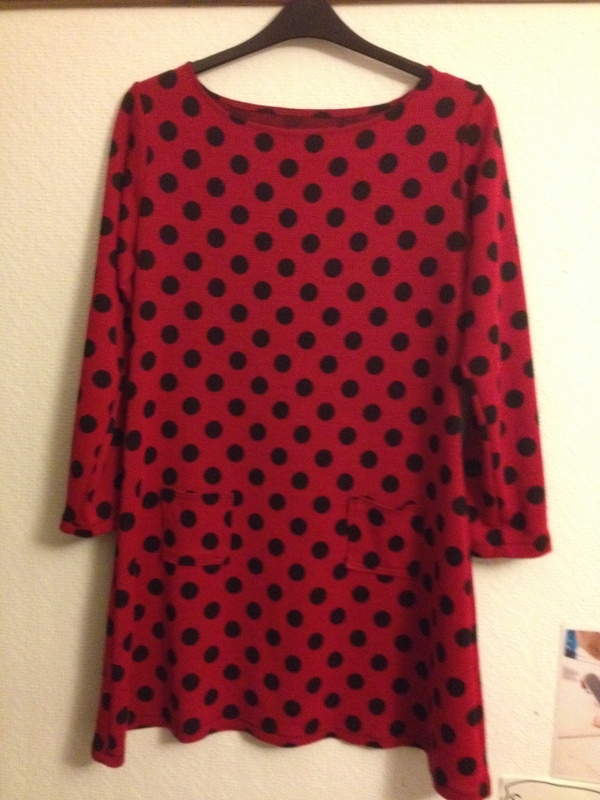 You can see I used my beloved overlocker (thanks again, Mum!) to neaten up the seams.